Grab your pals and hit up Paciugo Gelato Cafe, where the staff are pushing the boundaries of creativity to bring you these stunning and mouth-watering creations. 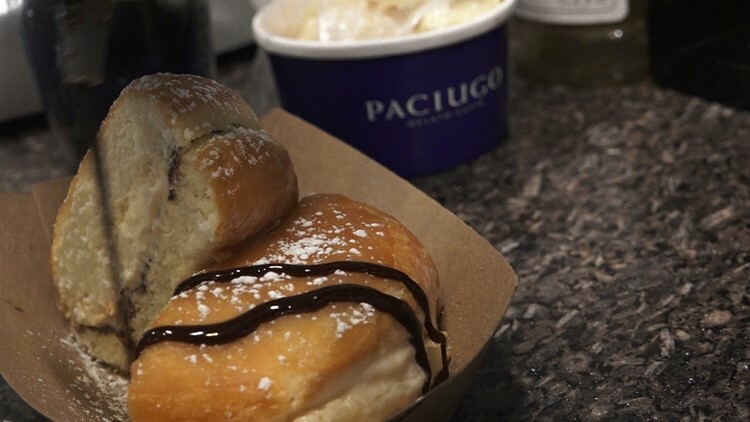 SAN ANTONIO — Paciugo Gelato Cafe, well known for its innovative creations, has some new features this winter, along with its classic fan favorites. 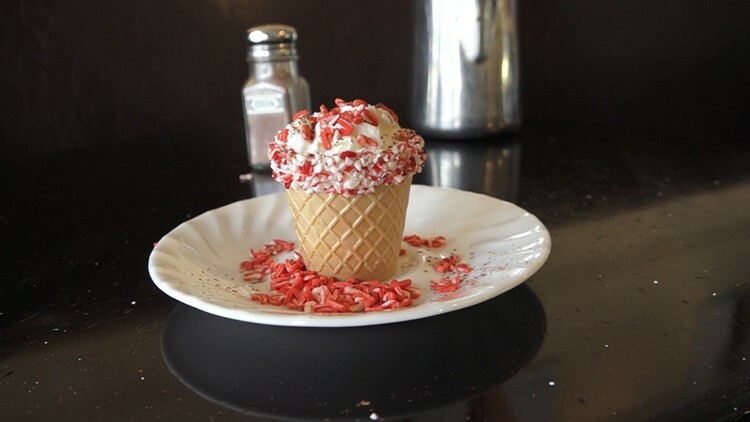 The cafe, located near the Lincoln Heights HEB, gained massive social media attention with its unique "Spaghetti gelato". The shop is applying the same technique of turning gelato into noodles to create a kid-friendly, familiar character. The original spaghetti gelato is made with a special device to turn the gelato into noodles. 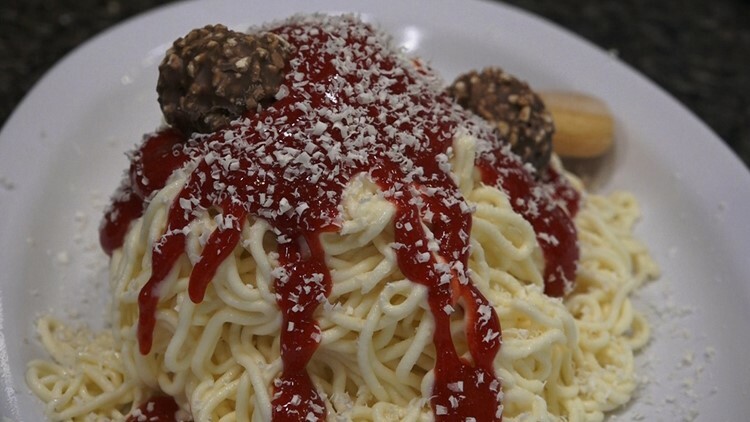 The sauce is a strawberry sauce and the "parmesan cheese" is made out of coconut flakes. You can't have spaghetti without the meatballs, so of course, there are meatballs made out of chocolates to complete the dish. 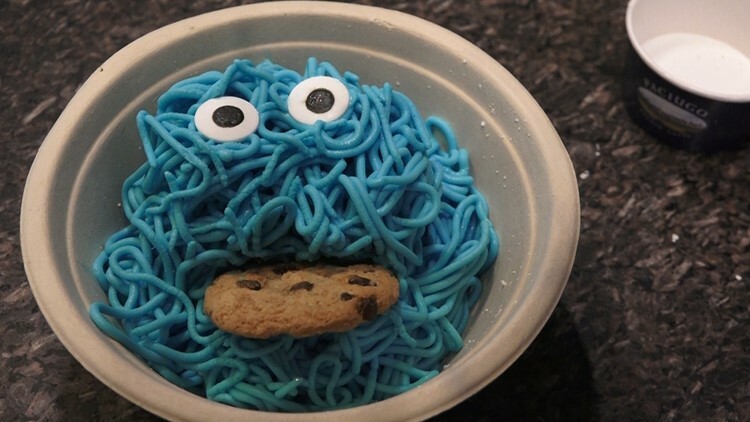 The latest noodle gelato is also being used for the shop's latest creation, Cookie Monster. Googly eyes and a real chocolate chip cookie are added to the bright blue gelato base to create Cookie Monster's face. Owner Mo Shideed says he bought the shop from the previous owner and decided to add some flair to the menu. "I knew very little about gelato at the time, I just thought it would be something cool to take on. And, its been really exciting to see how we have been able to build it into something a lot bigger and have fun with it." But, despite the cute creations, Shideed says the shop has a selection of more than 30 gelato flavors, including vegan options, made fresh every day. 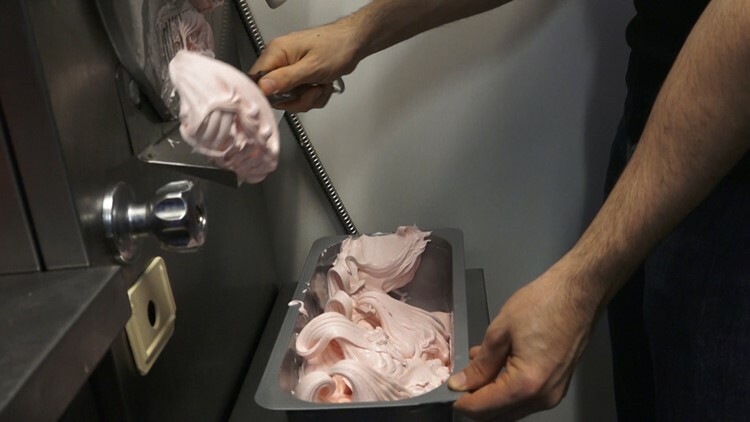 "Its been fun to do that and not get too far away from the traditional Italian gelato, but just introduce like little fun things that you can do with the gelato. So that's kind of what our vision is," Shideed said. Other interesting items are inspired by the pairing of hot and cold. 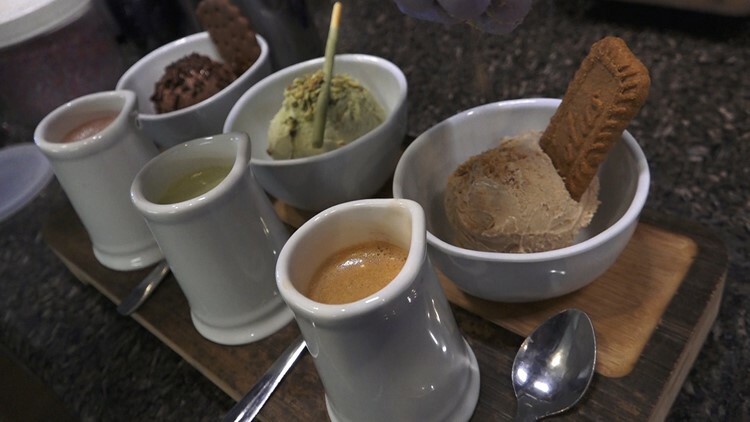 The shop's famous "affogado" lets you customize pairings of one of more than 30 flavors of gelato with hot beverages such as hot chocolate, coffee and green tea. The shop also does a donut panini sandwich drizzled in chocolate sauce. That is made by putting gelato in between donut sandwich slices and placing it in a custom-designed panini press. It may seem like the result would be messy, but the hot and cold sandwich holds together surprisingly well. Also new this winter are "waffle shots". Those are waffle cones dipped in chocolate with sprinkles and filled with a hot beverage such as coffee or hot chocolate. It's topped with whip cream. Check out Paciugo Gelato Cafe in Lincoln Heights for an amazing, unique experience. "Every time you come in, you will probably see something new you have not tried before," says Shideed.